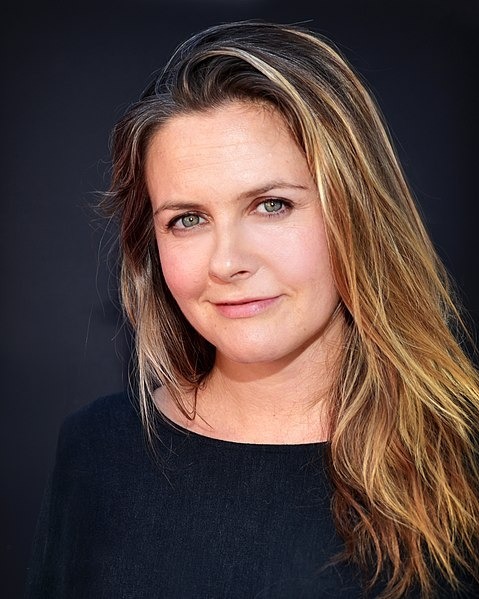 Alicia Silverstone (born October 4, 1976) is an American actress, producer, author, and activist. She made her film debut in The Crush (1993), earning the 1994 MTV Movie Award for Best Breakthrough Performance, and gained further prominence as a teen idol when she appeared at the age of 16 in the music video for Aerosmith's "Cryin'. She starred in the comedy hit Clueless (1995), which earned her a multimillion-dollar deal with Columbia Pictures, and in the big-budget film Batman & Robin (1997), playing Batgirl. She has continued to act in film and television and on stage. For her role in the short-lived drama comedy Miss Match (2003), Silverstone received a Golden Globe Award nomination for Best Actress – Television Series Musical or Comedy. A vegan, Silverstone has endorsed PETA activities and has published two nutrition books. Read more on Wikipedia.